Many people are able to easily sync their personal Google calendar on iPhone but most of them have trouble doing the same job for a shared Google calendar. This article will describe how to sync personal and shared Google calendars using Apple's free nifty application called iPhone Configuration Utility (ICU). According to our experience, ICU is not just a canned application which automates a batched tedious task, but the only method we know of, which guarantees a smooth configuration of both types of Google calendars (personal and shared) on iPhone. Without going into much detail one must appreciate that there is a difference between configuring a shared Calendar and a persona Calendar, and often most people have trouble deploying either one or the other on iPhone. 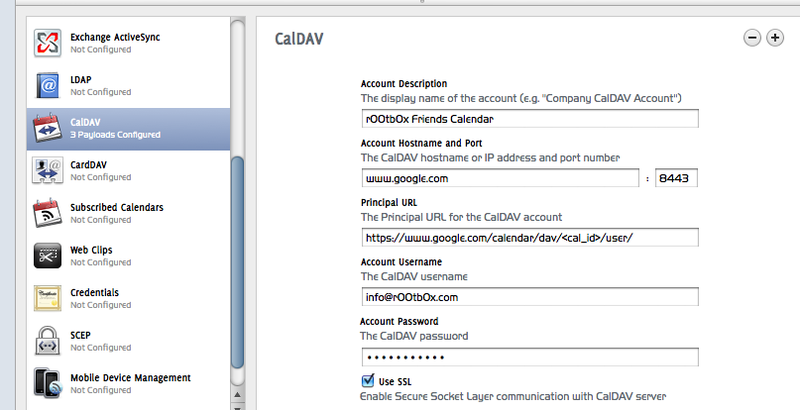 For those wondering, the Cal_ID is the Calendar ID which you can obtain from the Google calendar settings. This looks like an email address. 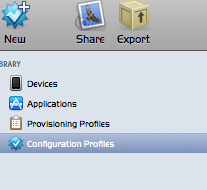 Click on install and allow some time for this configuration profile to be installed on iPhone. 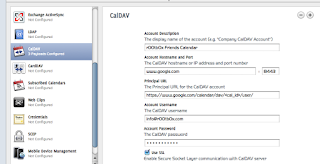 Now connect iPhone to a nearby wireless network and allow some time for the new Google calendar to appear in your calendars list! Now you can access the calendar and make two-way syncs (you can create appointments from Google or directly from iPhone, and in both ways, synched accordingly to the other mirrored calendar).